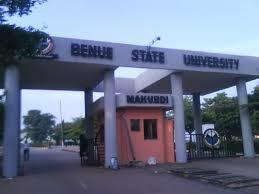 Benue State University, BSUM Merit Admission List for 2018/2019 Academic Session - See Steps To Check bsum Admission Status via portal.bsum.edu.ng. This is to inform all applicants of the Benue State University, BSUM that admissions into undergraduate programmes of the University for the 2018/2019 academic session as approved by the Joint Admissions and Matriculation Board (JAMB) have been released and successfully uploaded online on the school portal. iii. Select programme, Payment Category: Admission Checking Type in Registration Number, Select session or semester as applicable.